← 101 things to do with Soak | 018 Fabrics. Quilting. Pre-washing. It’s Friday and I’m bagged. Week 20. Loop. Today, as we set up our booth at TNNA, the National Needle Arts Association tradeshow, in Columbus Ohio, we celebrate Loop, in Philadelphia. 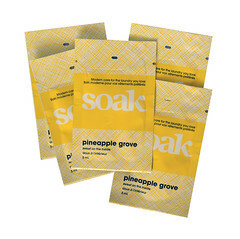 Our first ever Soak retailer in the USA. Way back when, May 24, 2006 to be exact, Soak crossed the border for the very first time. It was just before our first TNNA, in June of that same year. Who knew that four years later we would be sponsoring parties, working with Ravelry, Louet and other such spectacular companies, dominating the wash category in the knit world? 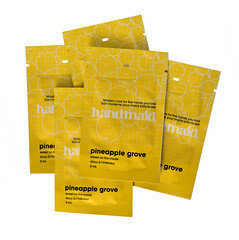 We are thrilled with how our business has grown over the years, as well as how our beloved customers covet our brand. If you are reading this in or on your way to Columbus, visit us at booth 851. 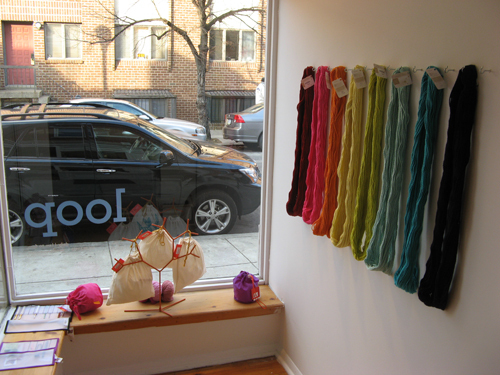 If you are online, check out Loop, as well as their sister store next door, spool. 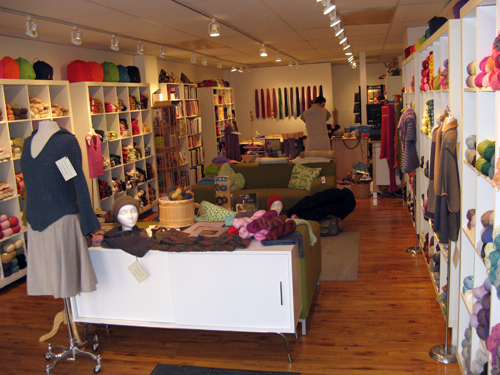 It’s my Mecca, a yarn shop next to a sewing shop, both with friendly staff and great finds! Craig, owner extraordinaire, has a fantastic blog as well. I love my Loop bag. I use it for going to the market and going to work. It’s lovely and lively. It always reminds me of how hard we work to build our business and just how lucky we are to work with such great people. Not a Soak retailer yet? Get in touch and we’ll hook you up. Would you like to recommend your LYS to us? Email us today! Be sure when rummaging online not to confuse Craig’s Philadelphia gem with the other Loop, Soak stockist. 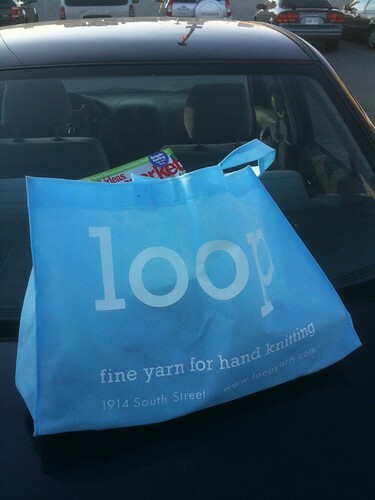 Loop is also the name of a lovely London, UK based shop but that’s a story for next week.